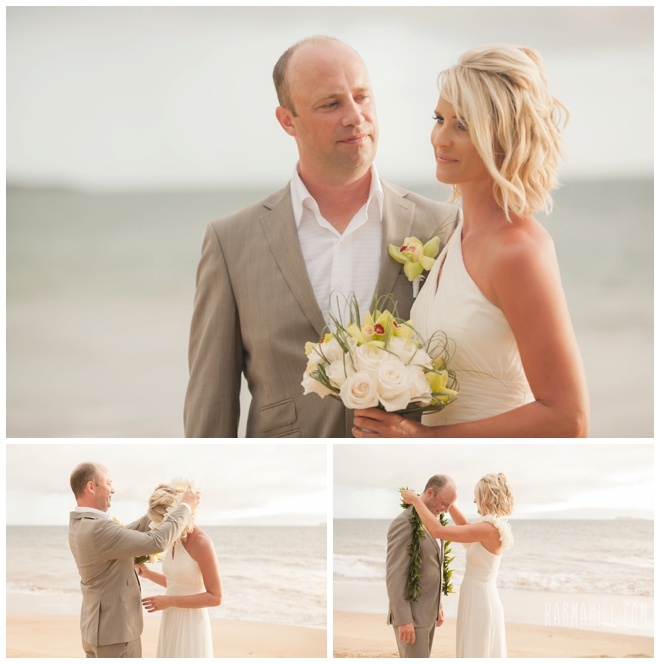 Alison & Henry were married last week by Reverend Joe Miles on the shores of Southside Beach! 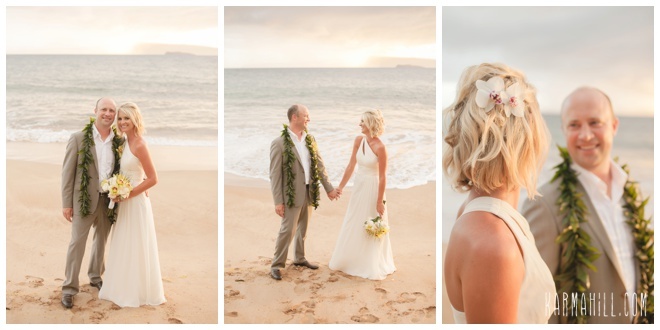 Their love for each other could not be measured! 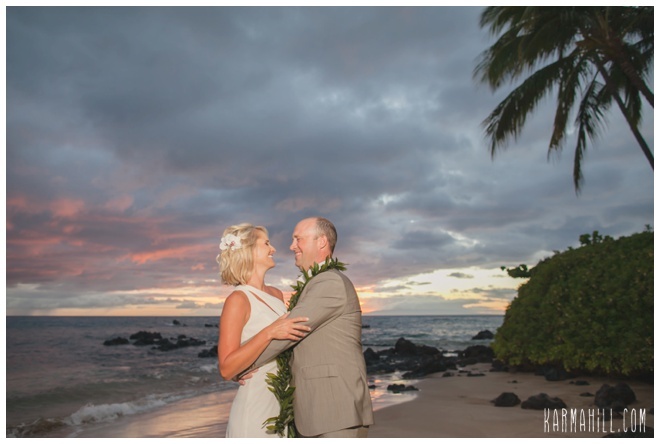 These two absolutely adored each other and we were so glad that they allowed us to capture it. 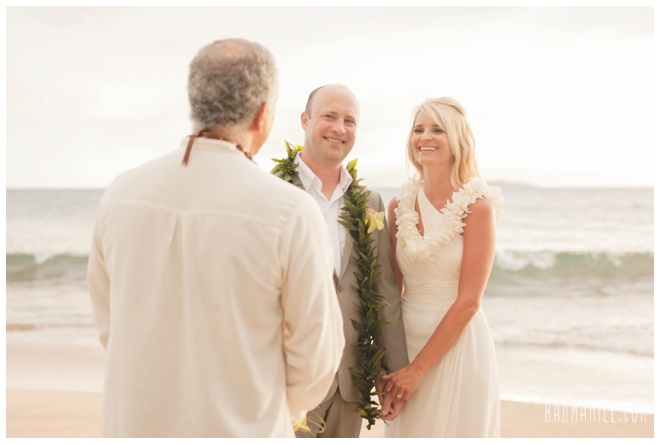 Staff photographer Ajja started with the ceremony and exchange of vows. 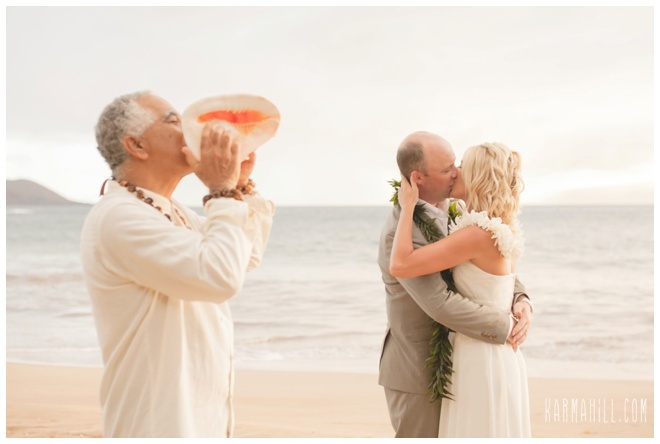 Since they didn't have any guests she was able to go right into romantic couple's portraits and spend lots of time with just the two of them. 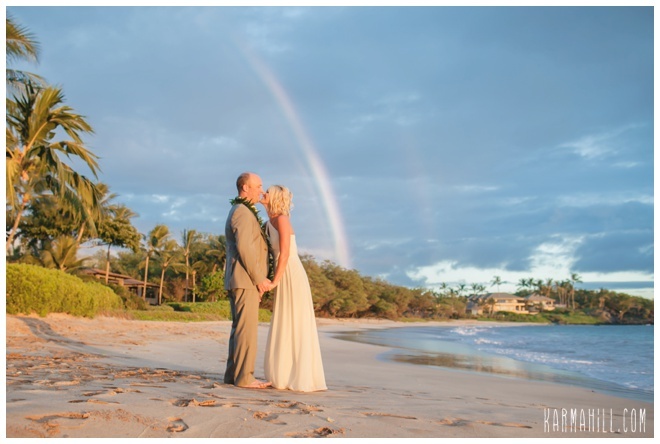 They were able to get soft glowing light, palm trees and a nice sunset, and a beautiful rainbow even made a guest appearance! 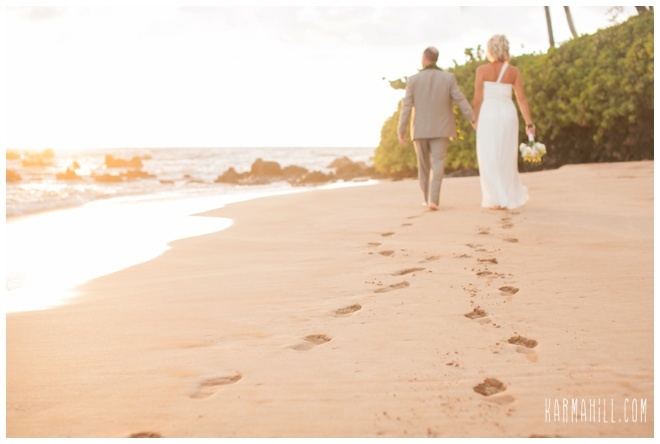 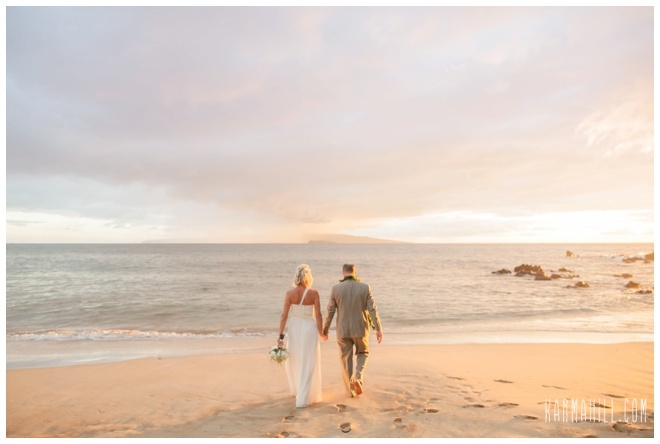 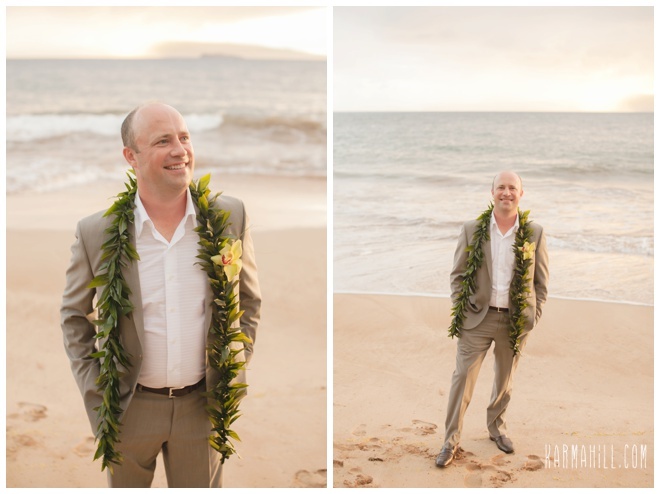 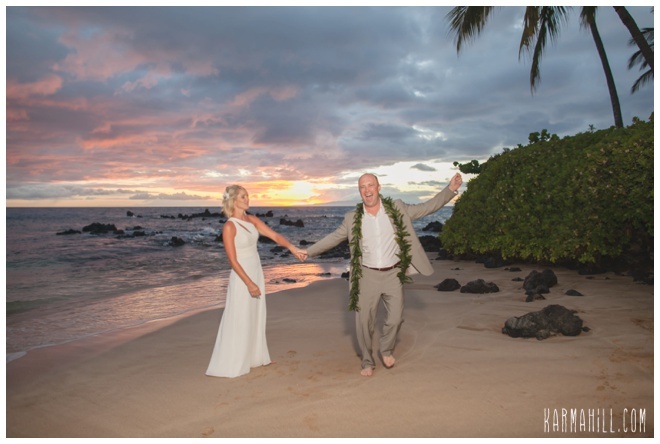 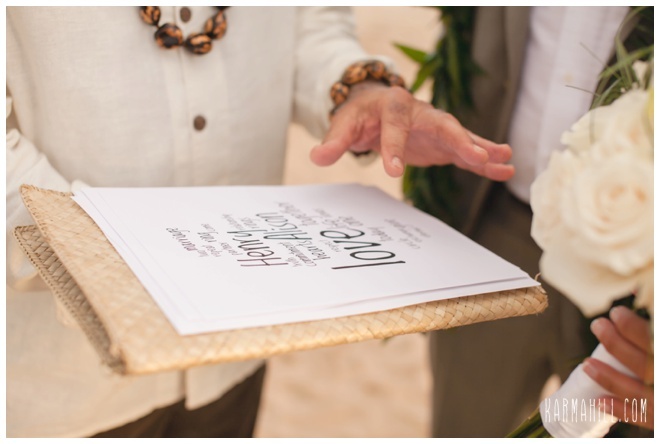 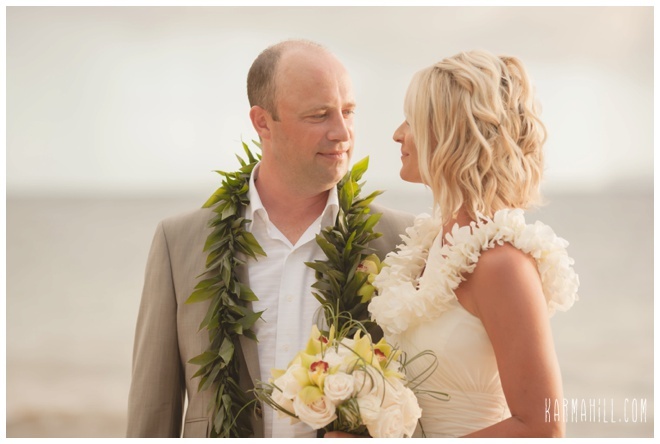 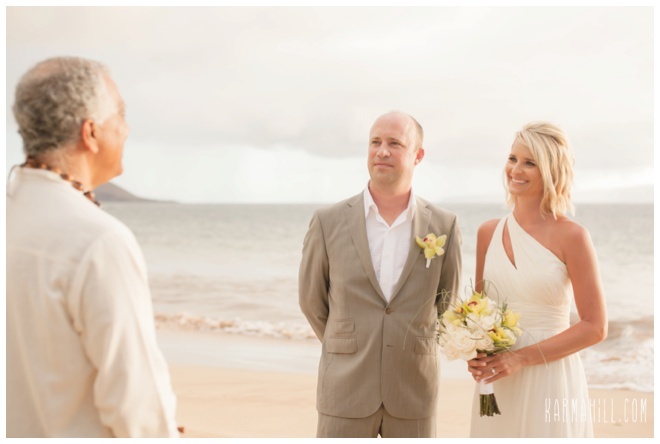 Thank you so much Alison & Henry for choosing Simple Maui Wedding to be a part of your Maui wedding day!